Realizing their shortcomings in a competitive marketplace, we helped the owners of 150 N Michigan extend their amenities program beyond an existing conference center. 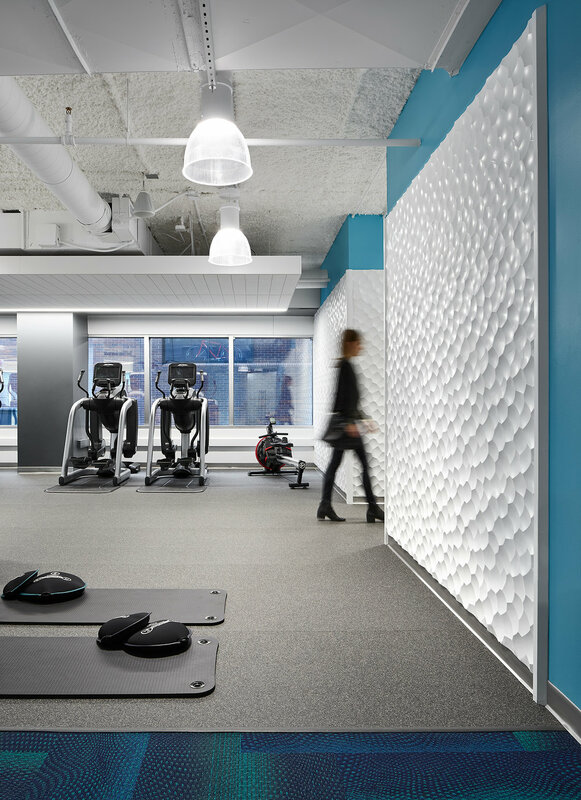 Our upgrades included a new fitness center and locker room with refined finishes and detailing to appeal to the building’s corporate clientele. We further expanded tenant amenities options with an inviting lounge area, complete with a live edge bar and fun touches like a wall-mounted scrabble board.